As Managing Partner of Arent Fox LLP, Andrew has extensive experience in all aspects of financial restructurings, distressed situations and bankruptcy. Andrew has a renowned practice representing creditors’ committees, indenture trustees, agents and bondholders in bankruptcy proceedings, as well as acquirers of and investors in troubled, distressed, and bankrupt companies. Andrew has extensive experience representing strategic and control investors. 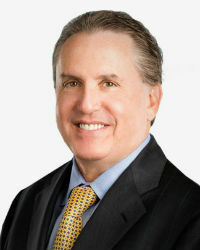 He has played a prominent role in large and small restructurings and bankruptcies throughout the United States, and his broad-based practice and experience has enabled him to devise unique and innovative solutions to complex matters. Paul Rome is CEO of Paul Rome and Associates, LLC (“PRAL”), an accounts receivable management company which maximizes the recoverability of the accounts receivable of companies with declining sales or those looking for new financing. An expert in the liquidation of accounts receivable, Paul works with companies in Chapter 11, Chapter 7, Receivership, and Assignment for the Benefit of Creditors (ABC) situations. Paul is President of the New York Institute of Credit and serves on the Executive Board of the New Jersey Chapter of the Turnaround Management Association. 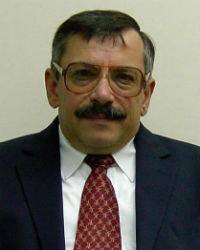 He is a past member of the American Bankruptcy Institute and Commercial Law League of America. 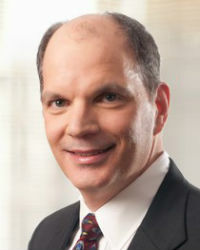 Stephen Leavenworth serves as a Senior Vice President and Market Manager for Staffing Services at IDB Bank. Mr. Leavenworth leads IDB Bank’s effort to deliver innovative financing and banking solutions to staffing firms, information technology consultants, and government contractors across the United States. Prior to joining IDB Bank, Mr. Leavenworth was Division President of the Payroll Finance Division at Sterling National Bank where he lead a team that specialized in financing staffing firms, information technology consultants, and government contractors nationally. An experienced banker with over 25 years in the financial services industry, Mr. Leavenworth previously lead the middle market asset based lending business for The CIT Group. Mark is Partner of Hahn & Hessen LLP. Throughout his career, Mark has represented parties in virtually every aspect of insolvencies, bankruptcies, and out-of-court workouts, including secured and unsecured creditors, trustees, debtors and purchasers of assets in Chapter 11 cases. 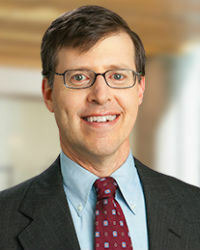 Over the last fifteen years, his practice has concentrated primarily on representing the interests of creditor groups in bankruptcy proceedings, particularly Creditors’ Committees in large complex bankruptcies. Mark has a recognized talent in working with all sides to ensure that even in troubled situations, the interests of his clients are maximized. 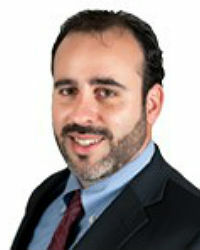 Mark has served as Managing Partner of the Firm from 2010 through the present. Admitted to practice before the United States Supreme Court and the United States Court of Appeals for the Second and Third Circuits, Mark is a member of the New York State and American Bar Associations. Mr. Allen D. Wilen is Partner of EisnerAmper LLP, Investment Banking Arm and EisnerAmper LLP. Mr. Wilen is a Partner in its Bankruptcy and Restructuring Group and has nearly 20 years of experience. He also has extensive experience working with situations involving logistics and distribution, health care, entertainment and light manufacturing. He served as Chief Restructuring Officer at Paper Mill Playhouse Inc. His extensive experience with bankruptcy, forensic accounting, corporate finance, and representing debtors, unsecured creditors and secured creditors in bankruptcy proceedings and out-of-court restructurings. In addition, he has spent considerable time in the areas of business operations, fraud investigation, contract damages and business valuation. He has also served as a liquidating Trustee and Disbursing Agent on multiple occasions. 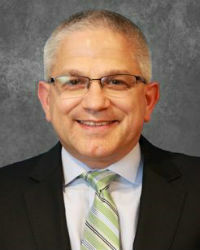 William J. Ezzo is currently a Vice President and Director, Originations at White Oak Commercial Finance, LLC. He has in excess of 40 years of diversified secured lending and commercial credit experience. An adjunct lecturer at NYUSPS for 20 years, he taught the Structuring Asset Based Loans and Trade Finance course in its Credit Analysis program. 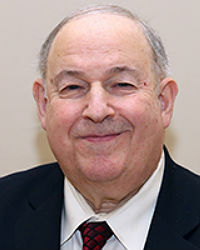 Prior to joining the NYUSPS faculty, he taught evening classes at The New York Institute of Credit for over 20 years, was a two term president of the NYIC and a former chairman of the NYIC’s board of trustees. Melanie is a Member of the Firm at Otterbourg, P.C. and is a former U.S. Chief Bankruptcy Judge EDNY (14 years) who returned to private practice in 2007. Before the bench, she was a commercial/securities litigator at Sullivan & Cromwell and Milbank Tweed. She is a Fellow of the Am College of Bankruptcy and Lit Counsel of America. She is on the MDL Plaintiffs Exec Comm of the GM Ignition Switch Lit. Also on the SDNY, Delaware and NJ Bankruptcy Court mediation registrars and court-appointed mediation panels (Lehman, GM, Metaldyne, Quebecor, BLMIS). 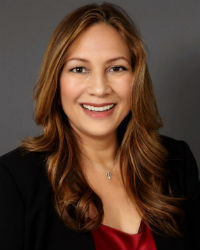 Melanie is also an expert witness on US Bankruptcy Law (have appeared in courts in Cayman, BVI, Mexico, Philippines and England); and legal malpractice. She also represents government agencies (Michigan State Workers Comp agencies & the FDIC) and Official Chapter 11 Committees of Creditors. 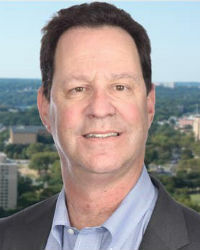 Harvey Gross is the founder and president of HSG Services Inc. He was formerly a vice president with NationsBank where he was wholesale credit manager, wholesale team leader, and account executive. He supervised in sales, marketing, and insolvency recoveries. He was the past chairman of the Turnaround Management Association and is currently a board member. Gross is also the executive director of IFA Northeast Chapter and executive director of the New York Institute of Credit. 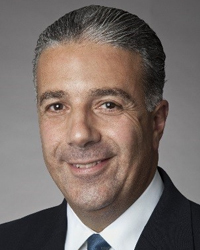 Mr. Louis Barone has been Managing Director and Northeast Regional Sales Manager of CIT Commercial Services at CIT Group Inc. since September 25, 2015. Mr. Barone has many years of experience to meet the financial needs of the consumer products sector. He served at Israel Discount Bank (IDB) as Senior Vice President and Head of IDB Factors since 2010. Mr. Barone held various management positions at several financial institutions, including GMAC Commercial Finance and HSBC Business Credit. He also previously served as Vice President of Business Development at CIT. 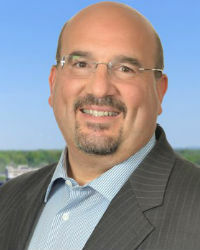 David E. Berliner is a partner in BDO USA, LLP, a CPA, CIRA and CTP with more than 25 years of experience in matters involving business restructurings, bankruptcy and insolvency, bankruptcy litigation, forensic investigations, transaction due diligence, accounting and auditing. Mr. Berliner has been involved in many bankruptcies and work-out situations representing unsecured creditors, debtors, and secured lenders. Mr. Berliner also prepares expert reports in bankruptcy litigation matters and has provided testimony at depositions and in bankruptcy court. 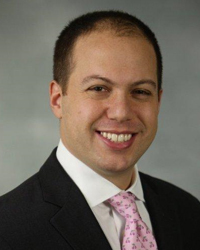 Jonathan Bodner is principal of Bodner Law PLLC located in Great Neck, New York. Bodner Law PLLC represents local, regional and national businesses, as well as individuals, in transactions, litigation and bankruptcy matters throughout Long Island, the boroughs of New York City and New Jersey. Bodner Law PLLC’s practice includes regularly representing debtors, creditors and others in matters involving the Perishable Agricultural Commodities Act, 7 U.S.C. 499(a) et seq. (PACA), and the food and beverage industries. One of the most highly regarded dealmakers and thought leaders in the restructuring, corporate reorganization and M&A communities, Jack has been credited as one of the principal architects of restructuring solutions for dozens of companies across a diverse range of industries. Jack’s recent transactions at Birch Lake include leadership of merchant banking relationships in the food, legal tech and transportation industries, among others. He is a member of the M&A Advisor Hall of Fame and the Turnaround, Restructuring and Distressed Investing Industry Hall of Fame. 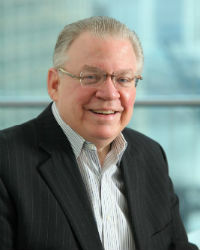 A founder and past chairman of the Turnaround Management Association, Jack is also a Fellow in the American College of Bankruptcy and International Insolvency Institute. 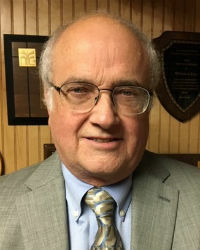 In addition to serving in leadership positions with numerous civic and charitable organizations, he officiated high school and college football for many years and is a lifetime member of the American Football Coaches Association. Paul has been with Omni since 2009 and manages the firm’s New York office. He works closely with clients to ensure that they receive high-quality services tailored to their unique needs. A graduate of Syracuse University, Paul later earned his J.D. from St. John’s University School of Law. 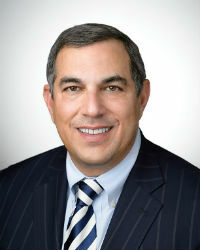 Following his clerkship with the Honorable Conrad B. Duberstein, Chief Bankruptcy Judge for the Eastern District of New York, Paul embarked on a fourteen-year legal career, focusing on all aspects of reorganization and liquidation proceedings including the representation of debtors, creditors, asset purchasers and lenders in many large and complex chapter 11 cases including Lehman Brothers, Calpine Energy, Integrated Health Services, Inc., M. Fabrikant & Sons, Inc., Ameripol Synpol Corporation, Charter Communications, Inc., Mirant Corp., Caldor Corp., eLot, Inc., Enron Corp., Star Diamond, AT&T Latin America, and Colt Mercantile. 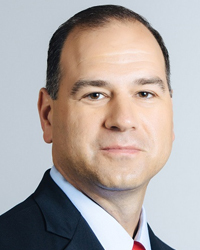 As Principal, Founder and Chief Executive Officer of KCP, Jacen Dinoff oversees all company operations and case assignments. Mr. Dinoff is highly-regarded as a corporate restructuring and turnaround management advisor with over 16 years of hands-on accounting, finance, management and operations experience that complements his technical expertise in bankruptcy case administration and financial advisory. Mr. Dinoff’s career has included engagements in financial and operational restructurings, asset divestitures through sale and liquidation, and senior debtor/creditor advisor roles for many well-known companies, both publicly and privately held. Mr. Dinoff holds a B.S. in Business Administration from the Whittemore School of Business and Economics at the University of New Hampshire, and an M.B.A in Finance from Bentley College. 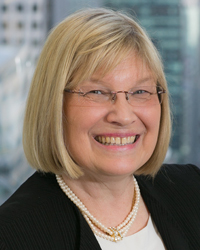 Esther DuVal serves as the National Practice Leader of the CBIZ Corporate Recovery Services practice. She is a member of the firm's executive committee of the national Financial Forensic Services group. She specializes in creditors’ rights and has an extensive background working with matters ranging from mid-sized bankruptcies to high profile cases. 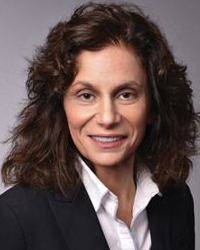 Leah Eisenberg is of counsel and a bankruptcy and restructuring attorney with Foley & Lardner LLP. Leah’s practice focuses on counseling clients in default, restructuring, bankruptcy, and corporate trust matters, with an emphasis on indenture trustee, creditors’ committee, and other creditor representations. 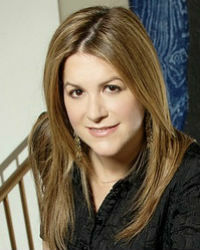 Prior to joining Foley, Leah was a partner at a Washington, D.C.-based law firm in its New York office. Earlier in her career, she served as a first law clerk to the Honorable Robert E. Gerber, the U.S. bankruptcy judge for the Southern District of New York. Tinamarie Feil is a co-founder and the President of Client Services at BMC Group, an international information management and professional services firm. Based in New York, Tinamarie has 30 years’ experience directing various aspects of corporate compliance, communications, insolvency case administration, as well as the due diligence process in major merger & acquisition transactions. 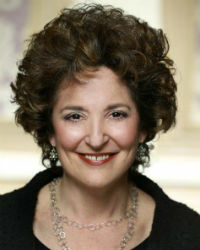 In addition to joining NYIC's board November 2018, she is UNCITRAL Committee Director of IWIRC’s delegation to the United Nations Committee on International Trade Law (Working Group V, Insolvency); a member of the international board of the American Bankruptcy Institute; and acts on the Editorial Board of The Bankruptcy Strategist. Tinamarie is committed to community service, mentoring, and particularly interested in organizations that provide assistance and education to young people. Jeffrey Hampton is Chair of the Bankruptcy and Restructuring Practice at Saul Ewing Arnstein & Lehr LLP. He concentrates his practice on restructuring matters, including Chapter 11 bankruptcy proceedings, out-of-court workouts, loan restructurings, corporate reorganizations and general insolvency law. He also represents the purchasers of assets and business units of troubled or failing companies, both in and out of Chapter 11. In addition to being an attorney, Jeffrey is a licensed Certified Public Accountant. 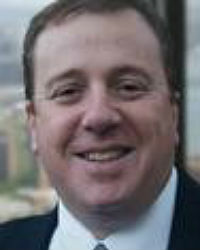 Robert Katz is a Managing Director in the Financial Advisory Services at EisnerAmper LLP. With over 25 years of experience, Robert works with public and private middle-market companies, both in and out of bankruptcy, who are facing operational or financial challenges to create and execute the strategy needed to restructure or improve operating performance. Suzanne Koenig is president and founder of SAK Management Services LLC, a nationally recognized Healthcare and Long-Term Care Management Consulting Services company. With over thirty years of extensive experience as an owner and operator, Ms. Koenig offers specialized skills in operations improvement, staff development, and quality assurance, with particular expertise in marketing, census development as well as operations enhancement for the whole spectrum of Senior Housing, Long-Term Care, and other Healthcare Entities requiring Turnaround Services. Ms. Koenig’s professional experience has included executive positions in marketing, development and operations management for both regional and national health care providers representing property portfolios throughout the United States. 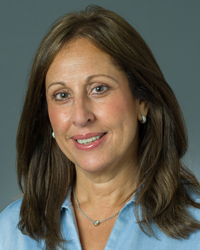 Sharon L. Levine is Partner at Saul Ewing Arnstein & Lehr LLP. She has been at the forefront of some of the largest complex bankruptcy cases in recent years, and she has earned a national reputation among clients and peers as a tenacious and accomplished bankruptcy lawyer. Sharon is highly regarded for her litigation and negotiation skills in the practice of restructuring, debtor-creditor law restructuring and bankruptcy litigation. Her representations include purchasers, debtors and creditors (committees and individuals), and she has tried contested and litigated matters in venues including federal bankruptcy courts in New York, Delaware, California, Hawaii, Texas, Michigan, Virginia and New Jersey, among others. 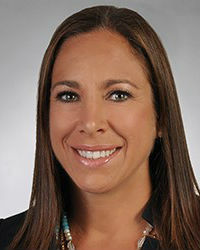 Cassie Rosenthal brings diverse experience and a wealth of expertise to Rosenthal & Rosenthal, Inc. She has dual responsibilities at the firm, managing both business development strategy and marketing efforts. Cassie is highly skilled at sourcing and developing new relationships with management and senior-level executives at a wide range of companies. In addition to her business development responsibilities, she has also been instrumental in creating an integrated marketing strategy for Rosenthal, including its rebranding. Cassie has been featured in The Wall Street Journal and The New York Times and has appeared on BBC Radio and CNBC. She received a BA from Colgate University and a Masters in Art History from the Sotheby's Institute in London. 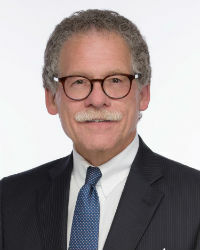 Paul H. Shur is a shareholder on the Banking & Financial Services group and the Bankruptcy and Creditors' Rights group at Wilentz, Goldman & Spitzer, P.A. He has 30 years of experience handling all aspects of commercial and financial transactions, and related litigation enforcing and defending creditors’ rights. Paul has represented an array of clients in various nuanced areas: secured lending, asset based lending, commercial finance, debt restructuring, sales and lease transactions, negotiable instruments, letters of credit, documents of title, real estate secured transactions and title insurance defense. 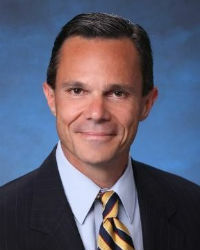 J. Scott Victor is a founding partner and Managing Director of SSG Capital Advisors. Scott is a nationally recognized leader in the restructuring industry with 30+ years of experience representing companies in bankruptcy proceedings and out-of-court workouts. He has completed over 200 sale, refinancing and restructuring transactions in North America and Europe for companies facing operational and/or financial challenges. He is an expert in the restructuring, refinancing and sale of middle-market companies and has testified as an expert witness in bankruptcy courts throughout the United States.